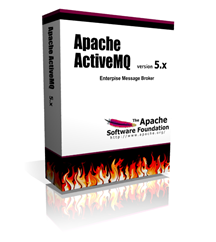 If you are planing to use Apache ActiveMQ (JMS) in your Dropwizard application, dropwizard-activemq-bundle might be a perfect match. 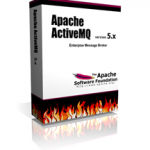 dropwizard-activemq-bundle combines the simplicity of Dropwizard with the powers of ActiveMQ. Since most modern applications uses JSON these days, dropwizard-activemq-bundle uses Dropwizard’s Jackson-integration to automatically serialize and deserialize your POJOs to and from JSON. dropwizard-activemq-bundle uses pooled connections to ActiveMQ and contains multiple important Health-Checks. For more detailed information and examples, check out dropwizard-activemq-bundle on github.